Think back to your many years of education. One constant that we all consistently heard throughout the countless hours spent in school was that “history repeats itself.” Most things in life seem to and that is why so many generations learn to live from the lessons in the past. Look at a time when frugality was a necessity and a way of life for many people, the Great Depression. It was an economic downward spiral spanning over the course of about 10 years where it placed extreme financial hardship on millions of homes and businesses. Many were left trying to think of ways to stretch the money they had by trying to make it last longer. 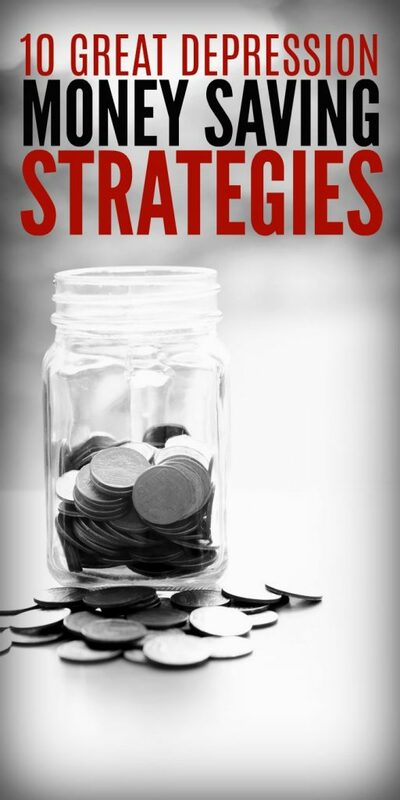 While our economy and world is currently in a more stable condition, the money saving strategies of the past can still be implemented today. The want and desire to be frugal is an attribute that continues to grow in want and need throughout families and homes. Substitute meat with other high-protein food. Meat is expensive. Beef tops the charts, but pork and chicken are not far behind. And if you want to eat organic? Better double that price. Try planning a weekly menu where you substitute beans or eggs for protein during a couple of your meals. It will stretch your grocery budget and save you quite a bit on your meat bill as well. Use what you have. Use it all to the last drop. That tube of toothpaste? Squeeze away. That bottle of shampoo? Add some water and shake it out. You will be amazed at how much waste happens when we don’t use everything we have 100% before heading to the store to buy more. Create a side hustle. Money is out there to be made..so why shouldn’t you be the one making it? A side hustle is something that you do for money outside your regular 9-5 job. Shoveling snow, cleaning gutters, house sitting…all ways to earn that extra dough. Thrift store shopping. If you don’t need it to be brand new, check out ways to get it used. 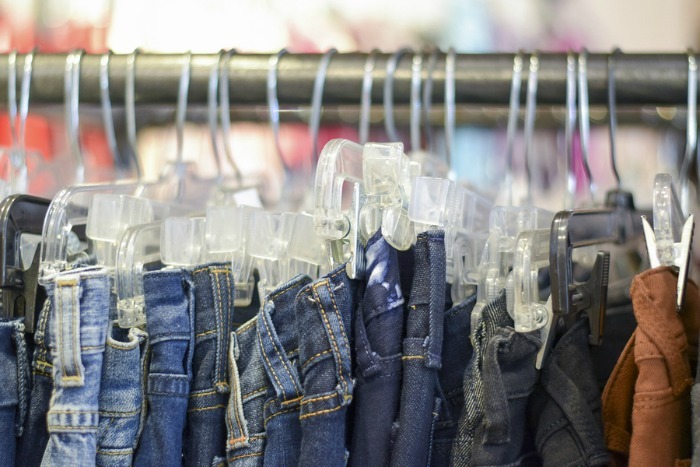 Thrift stores are awesome ways to find some incredible deals on items you are looking for. Typical savings of over 50% or more! Check out the local cobbler. Have a pair of shoes that need a second chance at life? Repair them before tossing them. New shoes are expensive while repairing shoes is a great alternative, especially when you love them. Try using 5-ingredient recipes or less. 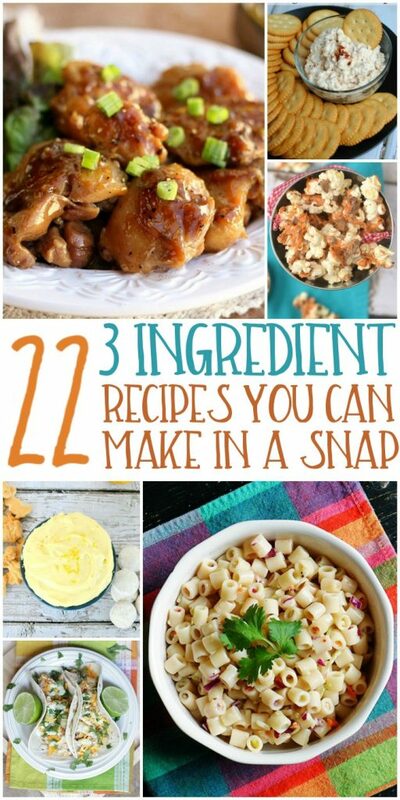 There are hundreds of recipes available where they only take 5 ingredients or less to make. It saves time and money by not having to buy a ton of extra food items that you don’t normally need. Embrace leftovers. Guilty of turning your nose up at the thought of eating the same dinner two days in a row? Give it a try. Leftover night is a great way to not waste food and put off going to the store. Conjure your inner seamstress. Have the ability to sew your own clothes? Give it a try. Certain clothing items such as pajama pants, light dresses and scarves can be easy to make. Don’t spend money on clothing items that you can create in your own home. Live with less. Generations before us lived without cable and internet. If they are costing a huge amount of money each month, it may be time to cut ’em loose. Just be getting rid of those two items, one can save upwards of $100/month, possibly over $1200 a year in savings. Barter. Find out a little about your neighbors and what their specialties are, then have fun asking if they want to trade things here and there. Do you make a mean pie? Bake one for them in exchange for a dozen of their farm-fresh eggs. Need a way to mow your lawn? Ask to borrow their lawn mower in exchange for you mowing their yard. Bartering can save a ton of money and you can get some pretty cool exchanges as well! No matter the choices one makes in deciding how to be frugal, there are a ton of options on how to make it happen. Frugality is a lifestyle, not a trend or a fad. It takes time and understanding to make it work well within your family. The suggestions provided could be great ways for you and your family to embrace frugal living. While it may seem difficult at first, keep it up and you will soon see the rewards as the money in your account is no longer decreasing at such a rapid rate. Before long, frugal living may become a habit and when it’s a habit, it’s easy as 1-2-3.